Call for more details about Ptarmigan Hunting! Your ptarmigan hunt at Alpine Creek Lodge is best anytime in the open season period. Ptarmigan season is from Aug 10-February 15th. We have a huge number of Willow Ptarmigan, with good numbers of the rarer White Tailed Ptarmigan and Rock Ptarmigan. Fall hunts are done with ATV’s and walking. When the snow gets too deep, you hunt them with snow machines (snowmobiles) to get to their main habitat areas. You’re welcome to bring your bird dog, as dogs are always welcome at Alpine Creek Lodge. You’ll be staying in the most beautiful setting Alaska has to offer, in a true wilderness that few have experienced. The scenery alone will last a lifetime in your memories! We offer minimum 3 day hunts, with as many additional days as you would like. For Ptarmigan hunting from Aug 10-Oct 15 on walking or ATV's, the rate is $750.00 per person per day for hunting days and $300.00 a day for travel days. 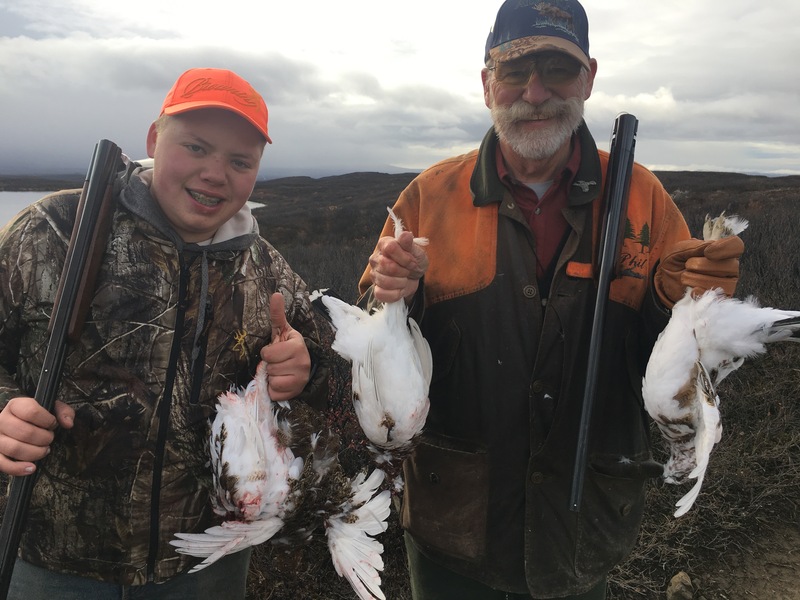 For Ptarmigan hunting from Oct 16-February 15th on snowmachines, the rate is $850.00 per person per day for hunting days and $350.00 for travel days. Our rates includes pick up and drop off in Anchorage or Fairbanks, all your meals, plus your stay in our remote lodge, snow machine or ATV usage. This does not include your small game hunting license, rifle or shotgun. All hunts are based on a sustainable population of birds. If the numbers are low, we may cancel your hunt, or take fewer numbers of birds per day to allow a healthy population. We offer fully guided trapping tours in the winter at Alpine Creek Lodge! These hunts also include predator calling! We offer three distinct packages for these hunts. We also specialize in getting trappers to the Arctic to find the elusive Arctic Fox! Sustainable and Ethical trapping practices are used exclusively. Trapping tours are booked based on a healthy, sustainable population of animals of each species. We carefully monitor the health of each fur bearer that we trap, 365 days a year, counting tracks, estimating population, watching for any potential health issue the animals may have. Tours may be adjusted, or put off for a year to ensure that we do not hurt the healthy population of animals in the area. This is running a serious line and our goal (and yours) is to harvest a large amount of fur. On this trip, you take home everything you harvest! With good success, you could pay for your trip! We will have 50 to 150 miles of trapline out, depending upon conditions and populations. Wolf, Wolverine, Lynx, Fox, Marten, Ermine, Otter, Beaver, Muskrat, Arctic Fox, etc. $950 Per Day, per person. 7 day minimum. Add as many days as you want. This package is for folks that are looking for that once in a lifetime animal, or one of every animal that we can harvest while you are here. You will be allowed to take one animal of each species home with you, and we will do whatever we can to insure you get one of each. Wolf, Wolverine, Lynx, Fox, Marten, Ermine, Otter, Beaver, Muskrat, Arctic Fox, etc. $850 per day, per person. 7 day minumum. Add as many days as you want. 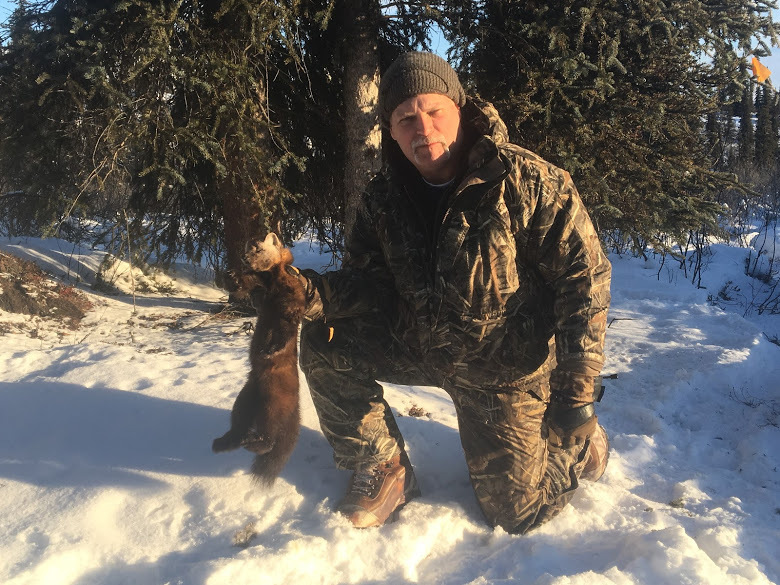 Just want to see what trapping in Alaska is all about? This is the package for you! Learn tips and tricks from a lifelong Alaskan Trapper or two! 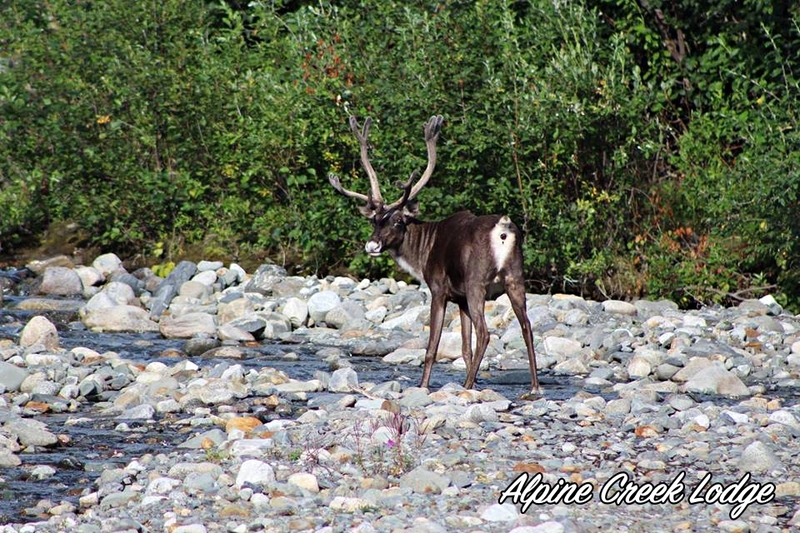 Get some great photo’s of scenery, wildlife, and everything remote Alaska has to offer! This is a relaxed trip! All animals harvested while on this trip will remain with the guide. A trapping license is not required for this package. Wolf, Wolverine, Lynx, Fox, Marten, Ermine, Otter, Beaver, Muskrat, Arctic Fox, etc. $750 per day, per person. 3 day minimum. Add as many days as you want. Put on your winter ghillie suit and lets head out into the bush. Hunts are ran with snow machines and vehicles, depending upon which species your looking for. Hunting primarily dusk to dawn, we'll have the hot coffee and soup ready. Patience is the key, and a good aim doesn't hurt. Lynx, fox, coyotes and wolves would be the primary targets. You take home what you harvest. $850 per day, per person. 5 day minimum. Add as many days as you want. All hunts/tours include transportation round trip between Anchorage or Fairbanks. This will include all meals, all lodging either at Alpine Creek or on either end in Anchorage or Fairbanks. These hunts are all 1X1 guided, and can be 1X2 if you have someone you will be traveling with. Ask about a discount if more than one person will be on the trip. The only thing not included is your trapping license and airfare from your home city to Anchorage or Fairbanks. Call for pricing and more details about Trapping at Alpine Creek Lodge! This is a perfect hunt for someone that is wanting to come up and hunt without having to worry about camping gear and food. You can enjoy hunting all day, coming back to a warm lodge to dry out all your gear, then sit around a camp fire telling your hunting stories with other hunters at the lodge. Success rates for moose have been good at about 30% to 40% for hunting from the lodge. If you are serious about hunting and getting out every day, percentages are much higher. Your do-it-yourself hunt packages is $600.00 a day, per person for a minimum of 3 days. Your package provides you with private lodging, food and the use of an ATV for each day of your hunt. We can pick you up from Anchorage or Fairbanks. Package price does not include transportation from your home city to Alaska or hunting license and tags.